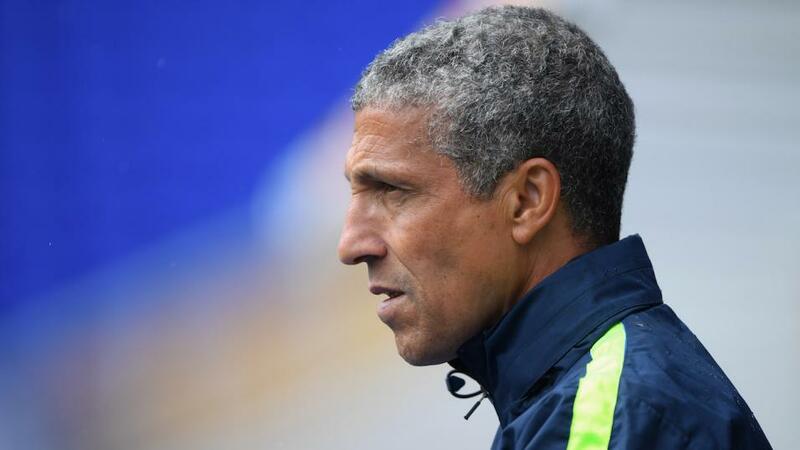 Will under pressure Chris Hughton deliver when Brighton host Bournemouth? Dan Fitch fancies Brighton to edge past Bournemouth and claim three points, when the pair of south coast strugglers meet on Saturday. "Bournemouth have only won one of their last nine matches." Brighton were predictably defeated in the FA Cup semi-final against Manchester City on Tuesday and can now concentrate on their fight against relegation. The defeat to Manchester City was narrower than might have been expected, as the Premier League title holders won 1-0. While there is no shame in losing by such a margin, there was the feeling that this was a chance wasted for Brighton. Such opportunities come rarely and the Seagulls might have made a greater effort to win and risked losing by a bigger scoreline. Chris Hughton is a naturally cautious manager. This pragmatism has served Brighton well, but if they are to ever progress as a top flight club, eventually Brighton will have to become more adventurous. Brighton are lucky to have an almost fully fit squad as they approach this crucial match. Pascal Gross and Solly March are currently their only injured players. After making a flying start to the season, Bournemouth are limping towards the conclusion. Bournemouth looked in the running to better their best ever finish of ninth in 2016-17, but now seemed destined to finish in the bottom half of the Premier League for the third time in the four seasons they've spent in the top flight. Injuries have taken their toll, robbing Eddie Howe of many of his key players. The summer will see the threat of losing some of those squad members permanently, with the likes of Nathan Ake, Ryan Fraser and Callum Wilson likely to attract the interest of other clubs. Howe goes into this game with several players on the sidelines. Lewis Cook, Steve Cook, Charlie Daniels, Simon Francis, Diego Rico and Andrew Surman are all injured. Brighton are the [2.4] favourites, with Bournemouth at [3.3] and the draw at [3.4]. Both sides are in poor form, but with Brighton having home advantage and a greater need for points, it is they that are the rightful favourites. Their price is big enough to back them at [1.7] in the Draw No Bet market and as Bournemouth have only won one of their last nine matches, it seems unlikely that you'll lose money if you do so. Brighton have failed to score in any of their last three games, yet with time running out for them to pick up points, it's a fairly sure bet that they will be back among the goals against Bournemouth. The Cherries have conceded in seven of their last eight games, with their only clean sheet coming against relegated Huddersfield. Both teams to score is priced at [1.84] and is a wager that has landed in five of Bournemouth's last seven outings. Could you make a mint on Murray? Brighton's top scorer Glenn Murray is the favourite to find the net at [2.3]. Florin Andone is next in the betting for Brighton at [2.8]. For Bournemouth, Callum Wilson is priced at [2.9] to score. Their penalty taker Joshua King is available at [3.6].